Almost all of the aircraft (I haven't quite figured out which ones do and do not but, I think anything larger than a CRJ9/E190 is affected) do a complete spin at around 400 feet after departing runway 33L at KBOS. It doesn't seem to have any impact on the game other than it's a bit weird and annoying. I haven't been able to get a screenshot as the spin is very quick and I can't react in time. I'll see if I can figure out how to record it though. I have attached my most recent log if it helps. We need the callsign of the flight and a log that includes that flight with the spin. So, that we can help you further on this. In the attached log the spin occurred with DAL809, UAL203, and AAL175. 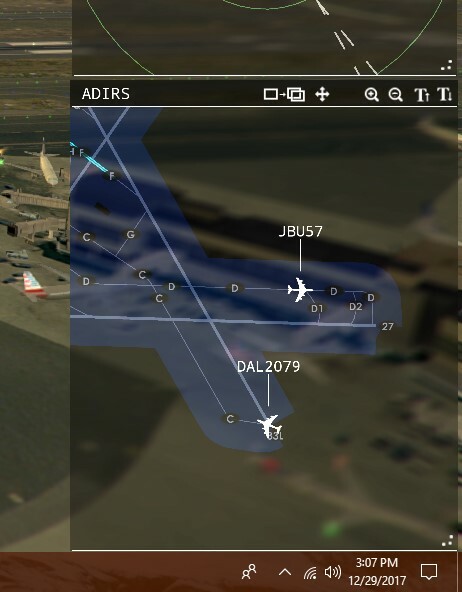 Also, in a slightly related issue, DAL2079 did a 360 on the ground after it taxied onto and before it departed from runway 33L (see screenshot). This is the first and only time I've seen that happen.